All pricing varies depending on size of yard and maintenance requested. Contact us now for your Free Quote! Sign a contract before the end of April and receive two free cuts. Sign a contract after April and receive one free cut. Mowing Weekly through end of growing season, sometime in November. Limited additional services can be added on i.e., weeding. Mowing every other week through the end of the growing season, usually sometime in November. *Note- The vast majority of lawns grow too much and too fast to qualify for bi-weekly service. If we agree to this service and find your lawn grows too fast, you will have the option of switching to the weekly plan or paying an additional fee for bagging. Monthly*A seasonal contract is required and must be signed by the end of April. Typically a growing season consists of 26 cuts, with this service you are only charged for 24, no additional fees are charged if more than 26 mowing services are required. A flat monthly fee will be charged over 8 months for mowing services plus one additional service of your choice. 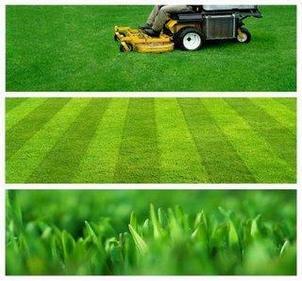 • Lawn Mowing- Weekly or as needed mowing beginning the month mowing begins and will continue through October. * Extra services can be added to all packages for an additional cost, i.e. weeding. Other services, i.e. fertilizing and spring/fall cleanups will be billed separately at the completion of the service. *Prices vary depending on status of yard. Each cut will be billed upon completion. Blow down of driveways, patios, decks, and walkways.